The Royal Opera House is an opera house and major performing arts venue in Covent Garden, central London. The large building is often referred to as simply „Covent Garden”, after a previous use of the site of the opera house’s original construction in 1732. It is the home of The Royal Opera, The Royal Ballet, and the Orchestra of the Royal Opera House. 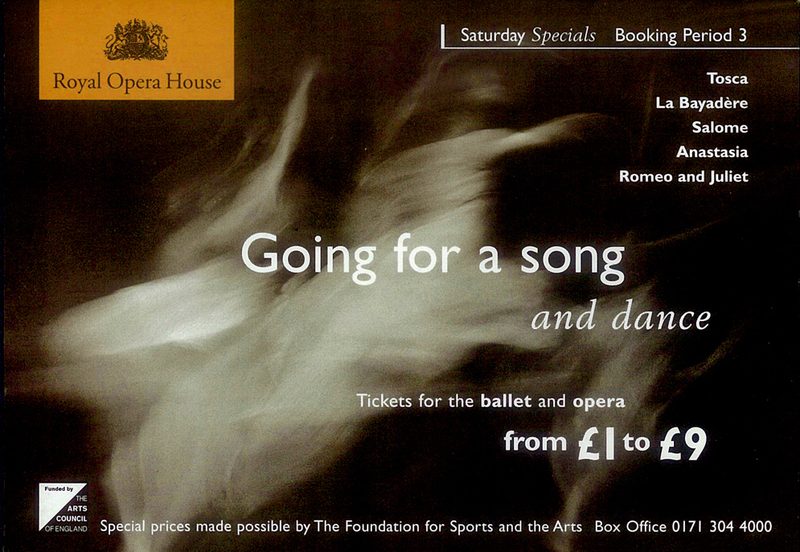 The Royal Opera House ran a campaign to encourage more people to experience opera and ballet at first hand by offering affordable prices. A range of tariffs was devised to allow low-income families and the unemployed to buy tickets at reduced prices.